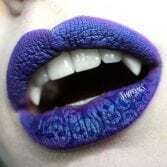 Badass Fangs? We Got Those… Trusted Since 1993. 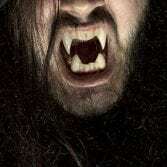 Professional quality, comfortable, realistic vampire fangs and teeth – custom fit in minutes! Over 30 styles to shop! Use our fang caps and veneers to complete your vampire, werewolf, alien or monster… we even have zombie teeth! Lightning fast shipping on all in stock fangs. Buy Now!